As I sit here on the flight home from visiting family in Australia, I can’t help but think how much my life has changed since I was diagnosed with depression and anxiety in 2012. There was a time when getting on a long haul flight would have led to a full blown panic attack, not to mention the thought of staying in someone else’s home for two weeks, being in intense social situations and visiting new places every day. Along with the fear of having a panic attack on a bus or a train, or a 12-hour flight, I was also blessed with the inconvenience of social anxiety. I had a nasty bout of burnout or a mental breakdown – I’m still not sure which, but either way it was pretty rough – and when I was signed off for months at a time I retreated inwards. I was embarrassed about being off work. I felt like I had nothing to contribute to conversations with friends, all of whom were thriving in their jobs whilst maintaining a busy social life of hen weekends, gigs and nights out at the pub. Whilst they poured another glass of wine I sat next to them frozen, unable to speak or even look them in the eye. For over a year I physically ached during every single social interaction. My shoulders were permanently stuck fast to my ears, or it felt like that anyway. On many occasions just the act of sitting awkwardly in the corner was too much to contemplate and I would leave the room, the bar, or the city without notice – whatever it took to get away from the fear and anxiety of being around other people. Up until my diagnosis, I had been working in a busy catering outlet as a manager. It involved multitasking, crunching numbers and counting stock but above all – working with people. I was in charge of a team and constantly dealing with training issues, management meetings and customer complaints. Socialising was ingrained in my day but after my breakdown I knew that it would be almost impossible to go back to that way of life without feeling traumatised on an hourly basis. I tried, but it was too painful. I didn’t work for almost a year, and I knew that going back to working with people was going to be a struggle. I made it my mission to figure out a solution. I didn’t want to go back to painting on a fake smile for staff and customers on the days when I was feeling like crap. I knew that studying at uni had given me some transferable skills and that I had to be capable of doing something new, so I started experimenting. I got a volunteer role writing for a lifestyle website and after a while, I started up my own health and fitness blog. Over the course of a few years, I continued to write for my own website as well as a few others. I got a job in a cafe and in between shifts I went to the gym and updated my blog. From time to time I would write personal pieces about my mental health struggles, touching on depression, anxiety and my obsession with dieting and exercise. It wasn’t until I started sharing my mental health issues on Instagram that I realised other people were actually interested in hearing what I had to say. I was still terrified of talking to people in real life – especially about my anxiety – but talking on Instagram stories was a breeze by comparison. I’m really not sure why, but something just clicked when I turned the camera on myself and I felt at home. I talked about panic attacks, self-care and the bumpy road to recovery. I didn’t sugar coat anything and found that this way of talking was not only helpful for others but therapeutic for me. Between my Instagram and my website, I was becoming well-known within my circle as a mental health blogger and now people wanted to pay for my services. 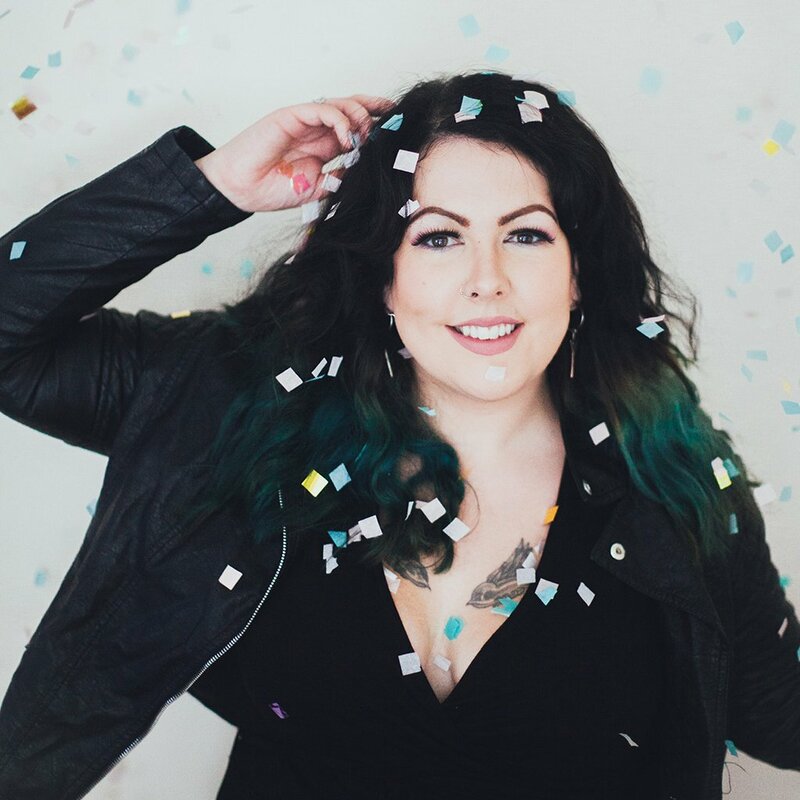 After years of using my blog as a platform to talk openly about my mental illness, my free version of therapy had turned out to be the doorway into the new career that I had always wanted. I used to love writing as a kid, and at university I did a few journalism classes but nothing that I felt gave me the qualifications to ignite a complete career change. 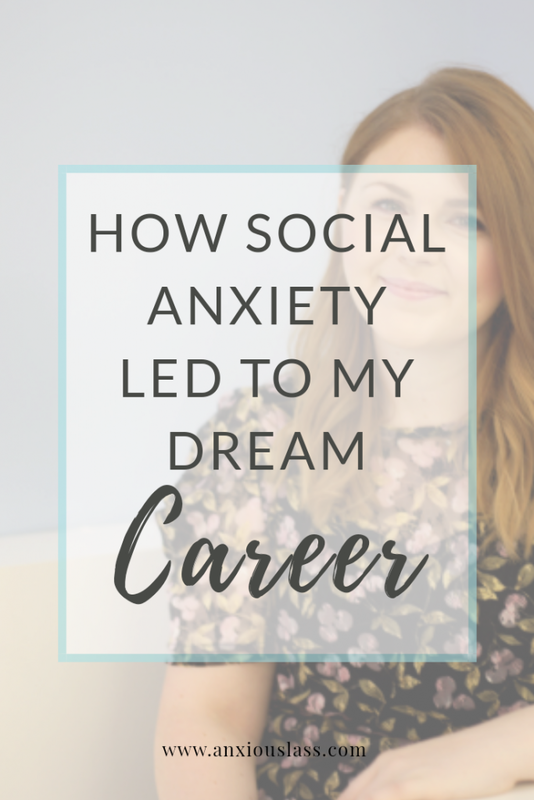 I couldn’t believe my luck, my social anxiety had actually been the main reason why I had turned to writing and creativity… and now it was going to be something that might get me a job in a whole new industry. I got some sponsored blog posts and a few companies took out adverts on my website but the real kicker for me was being paid to write for the Metro website. After seeing how much work I was putting into my own self-promotion I was then offered to manage the social media accounts for a small business. This was something I hadn’t been actively seeking out, but I was over the moon to sink my teeth into something other than waitressing for a change. 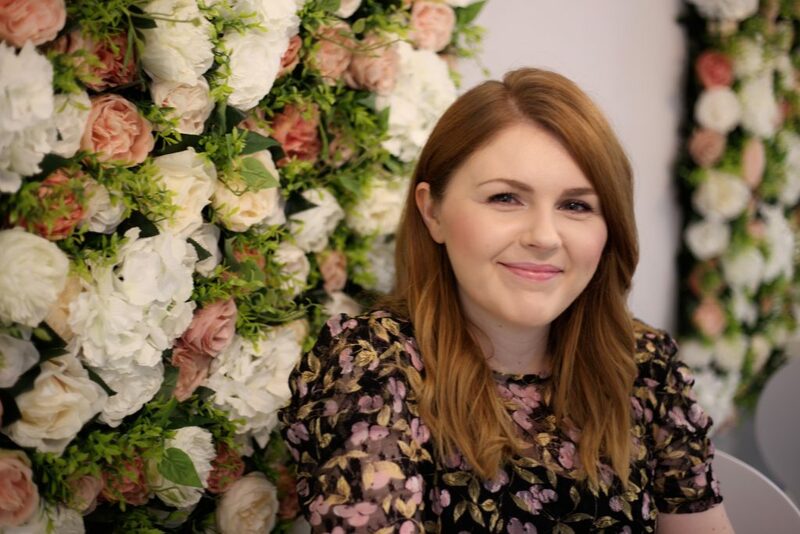 I juggled the social media work, blogging and freelance writing for as long as I could whilst I worked part-time in a cafe but ultimately it all became too much. I decided to bite the bullet and try working freelance full-time in January 2018 and I’ve not looked back since. There have been a few scary moments where I’ve wondered where my next pay check was going to come from, and it’s a learning curve learning to motivate myself to get up for work every day. But overall I’m actually excited to get up and write everyday, something that I could never have dreamed of all those years ago when I was diagnosed with social anxiety. I’ve spent so much time working from home that I now look forward to social interactions, and I even organise events where I give talks and presentations about managing mental health problems. I would never have imagined that my darkest moments of anxiety would have led to me standing in front of a group of people to share my own personal story. I still have moments where I ask myself what the hell my life has become! Alongside my freelance work, I’ve been published on websites such as Healthline and magazines like Happiful and Readers Digest. I also got a book deal with a mental health publisher and my story Depression in a Digital Age: The Highs and Lows of Perfectionism is out in November. I guess it just goes to show that you never can quite predict how your worst days are going to shape your future. Fiona Thomas is a freelance writer published in Metro, Healthline, Happiful Magazine and Readers Digest. 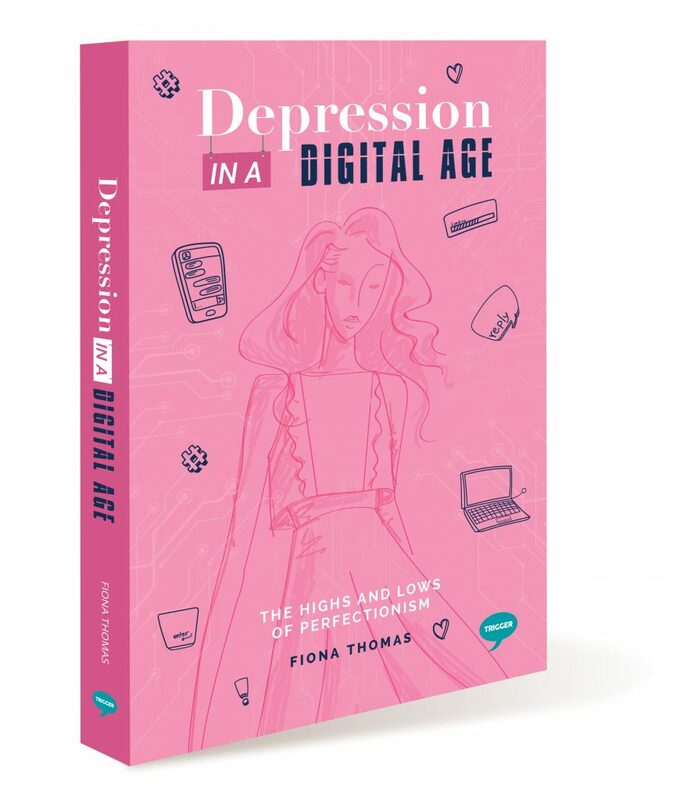 Her memoir Depression in a Digital Age is available on Amazon now. Hi, I have been looking to try Chakra Cleansing and my friend at work sent me this link, has anyone here tried this one? https://EarthArtShops.com/ChakraCrystalDIYkit. She has been like glowing with happiness and energy the last few days lol. I am excited to give it a try tonight and see if it helps my less-than normal energy levels lately, I feel like I NEED something to refresh me and get back to feeling Aligned again! Let me know your thoughts or your experience if you try it out too!